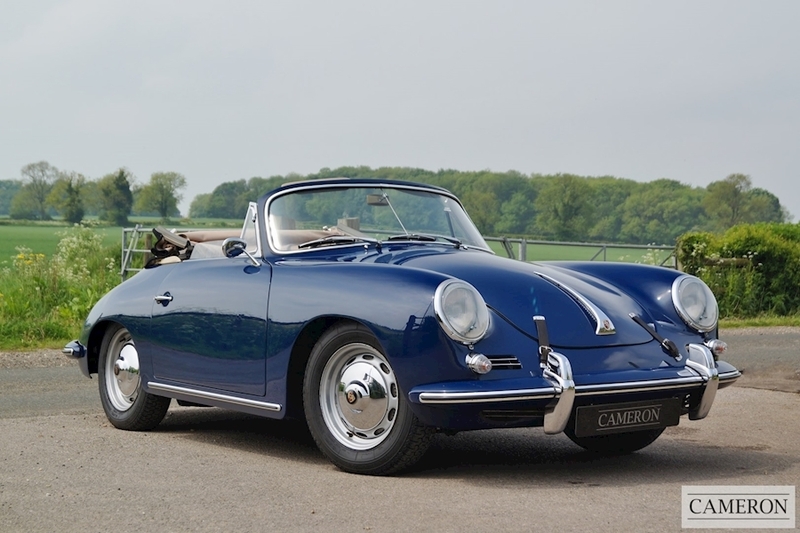 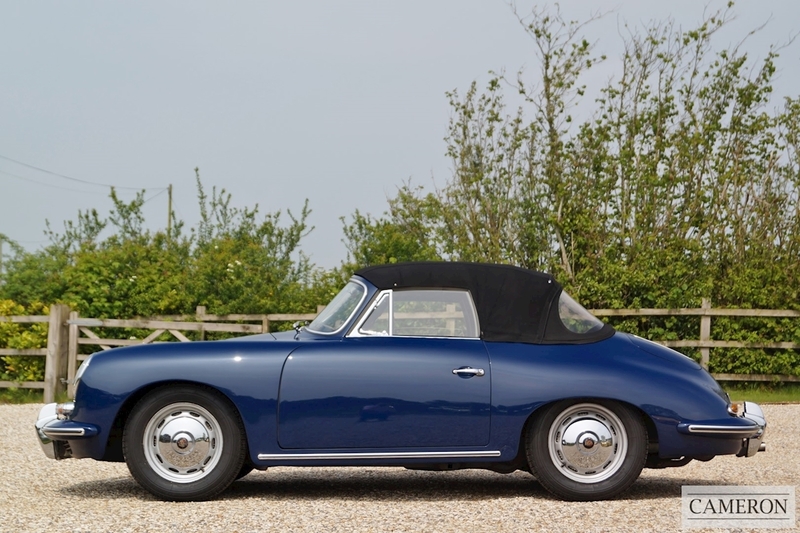 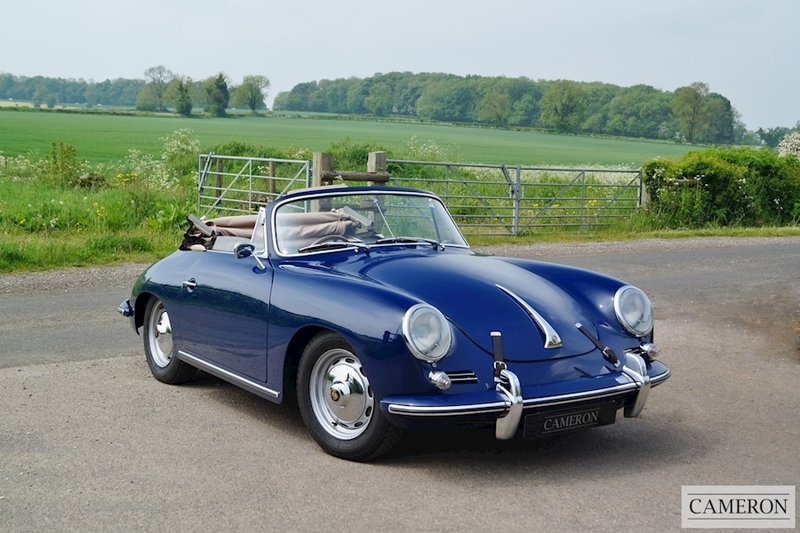 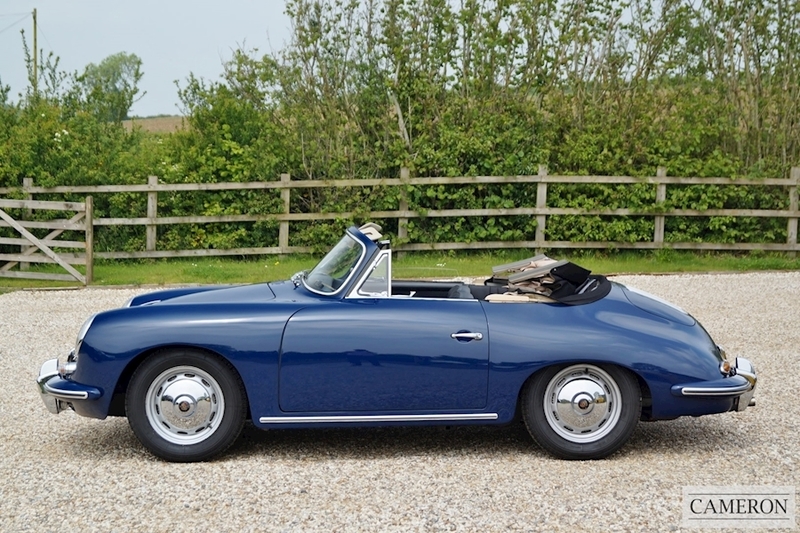 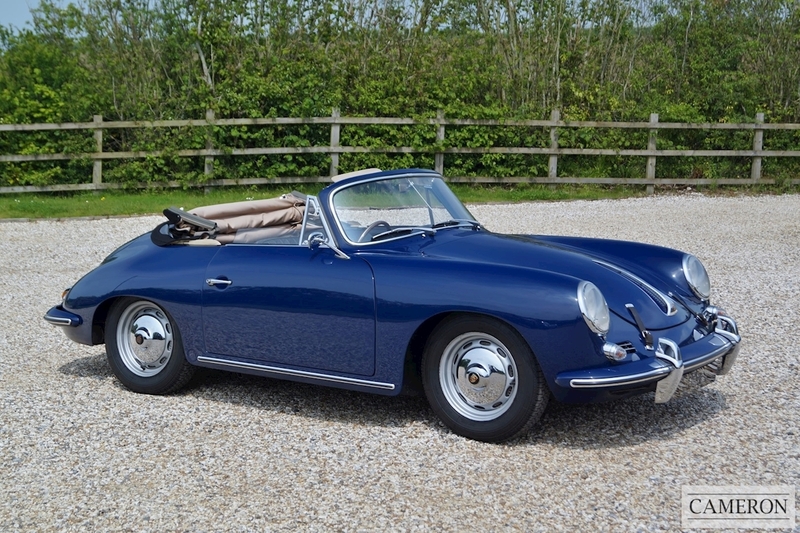 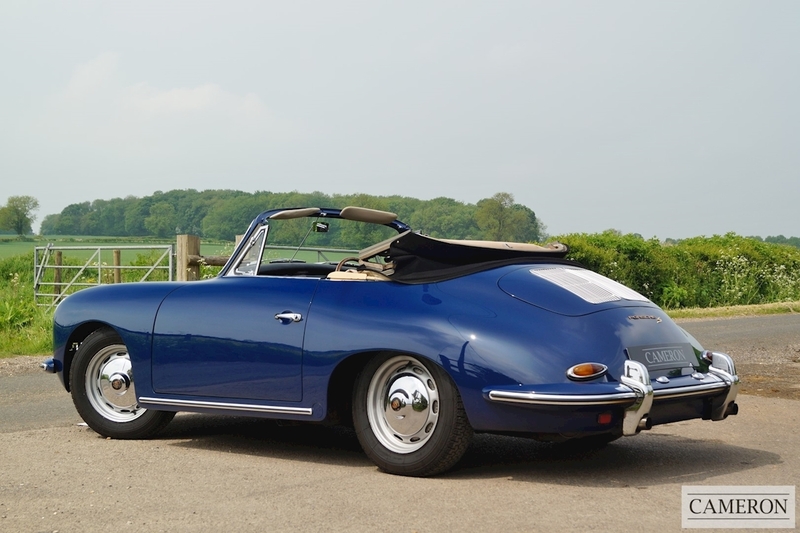 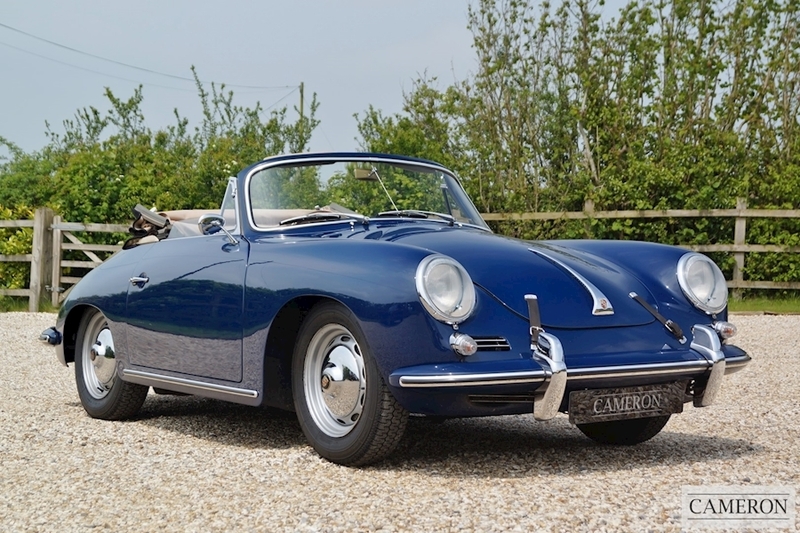 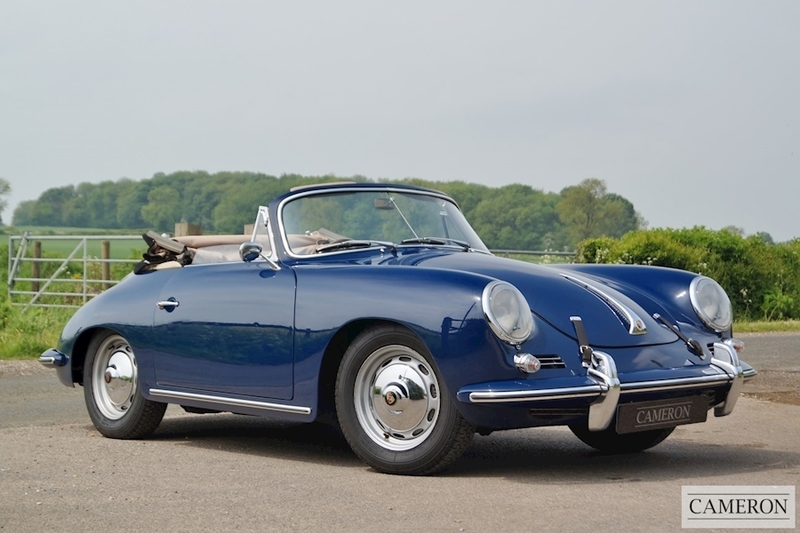 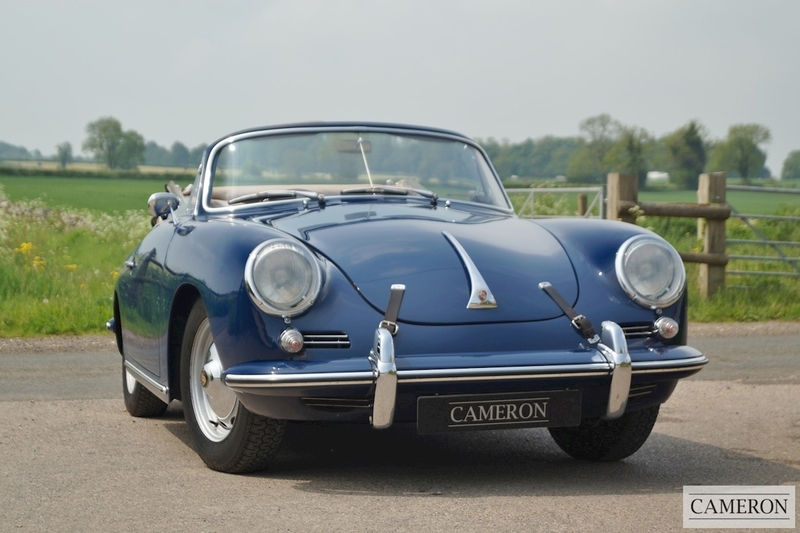 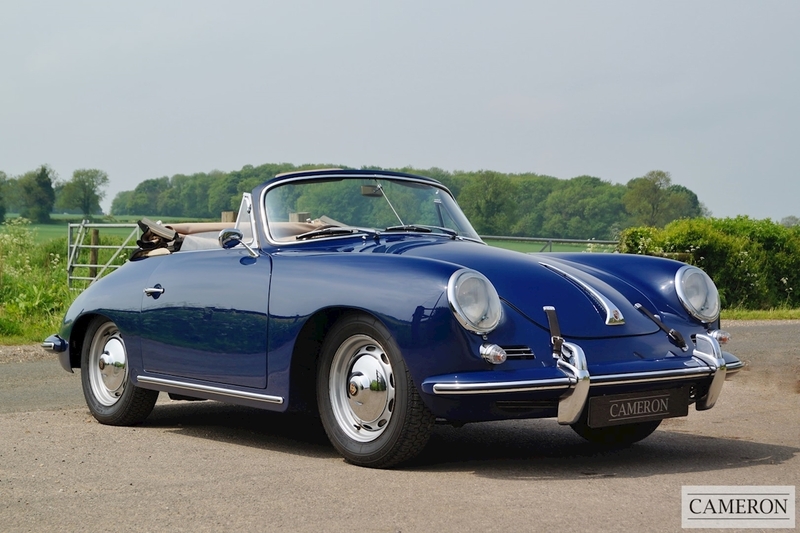 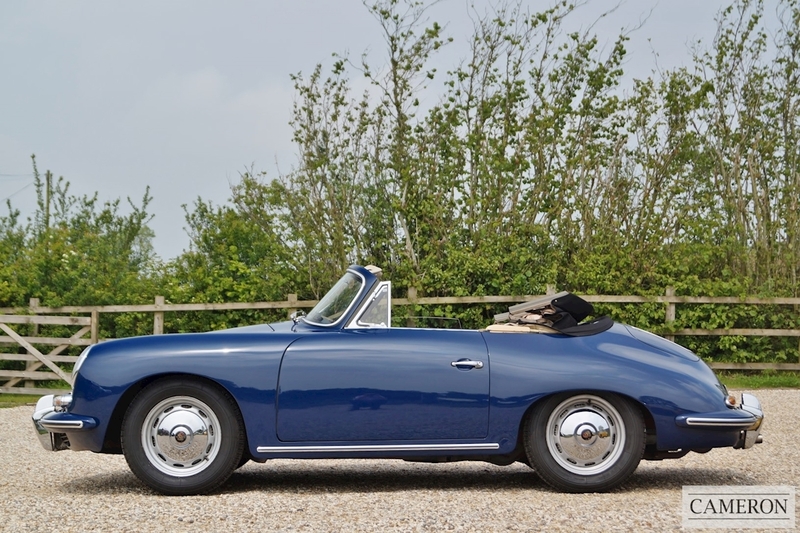 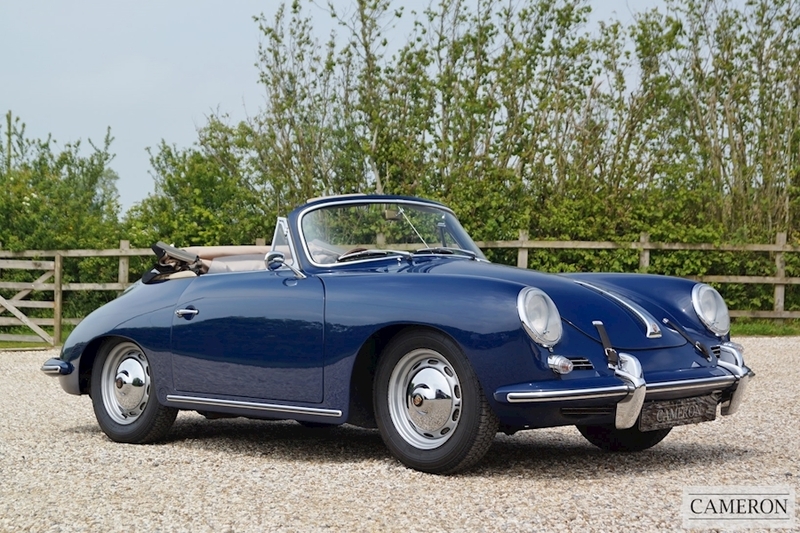 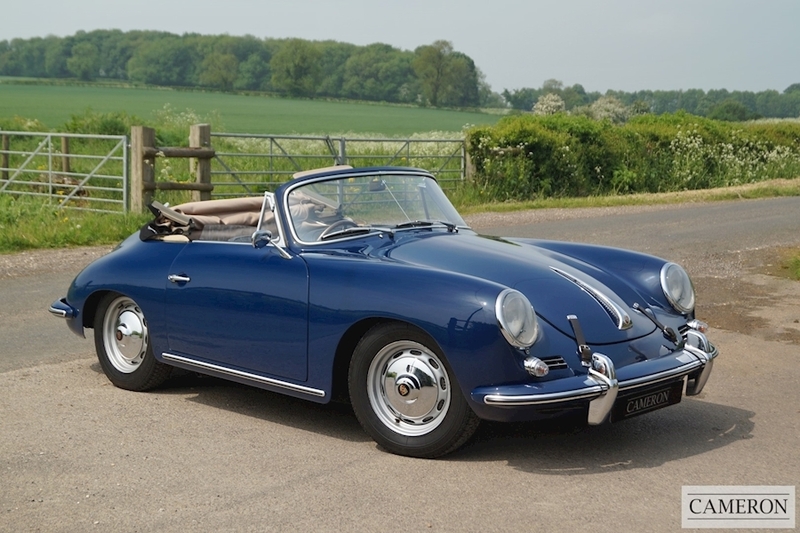 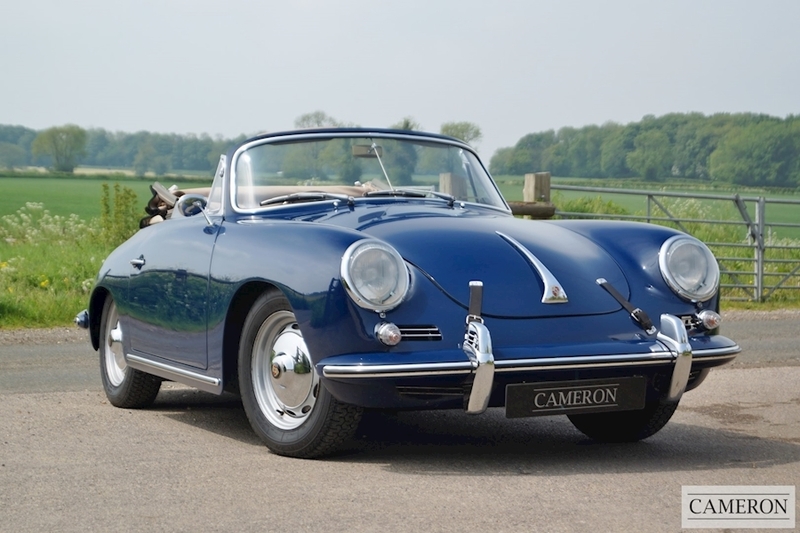 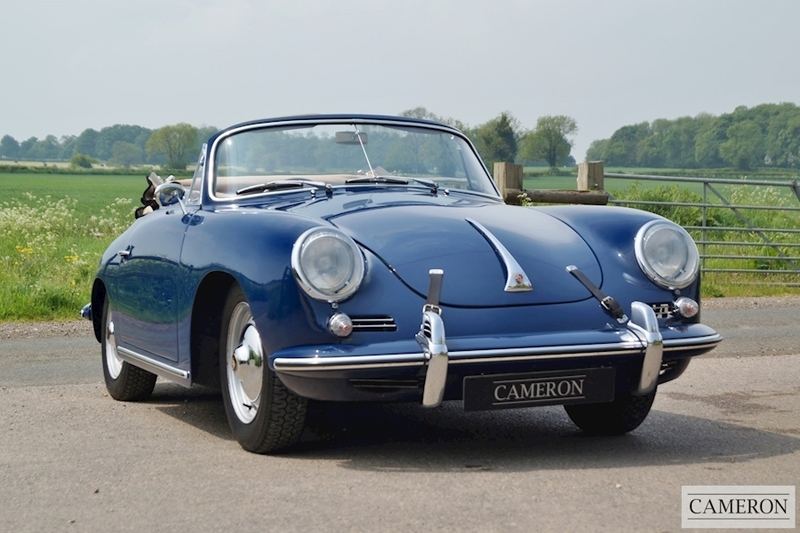 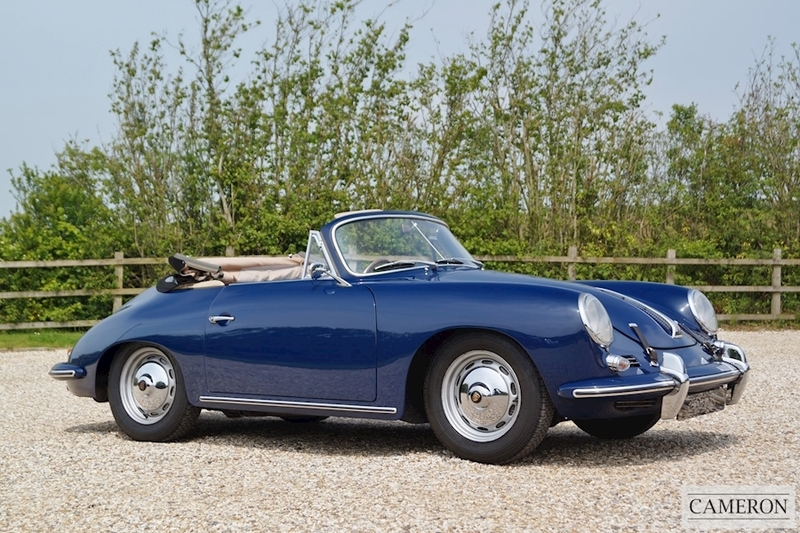 This Rare Right Hand Drive UK Supplied 1963 Porsche 356 B T6 Super Cabriolet is Presented in Bali Blue with Black Leather and a Black Hood. 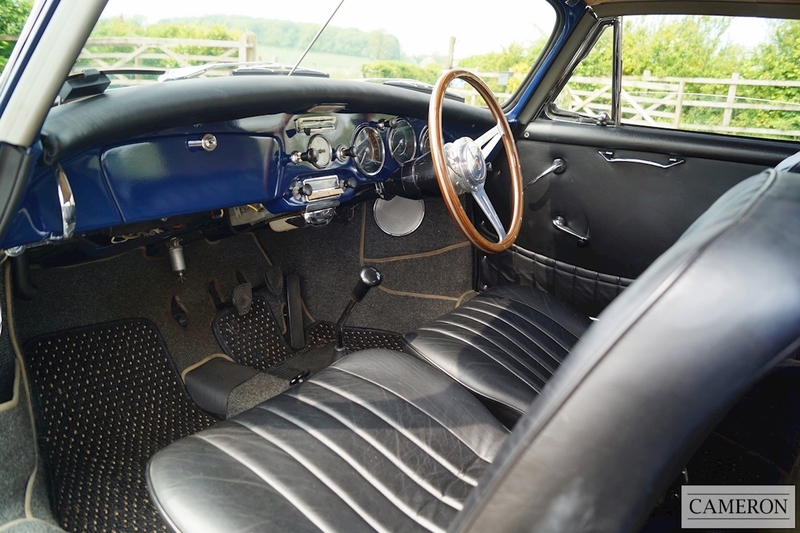 The paintwork today presents well and the hood is in excellent condition and the interior a true delight, complete with original radio and clock. 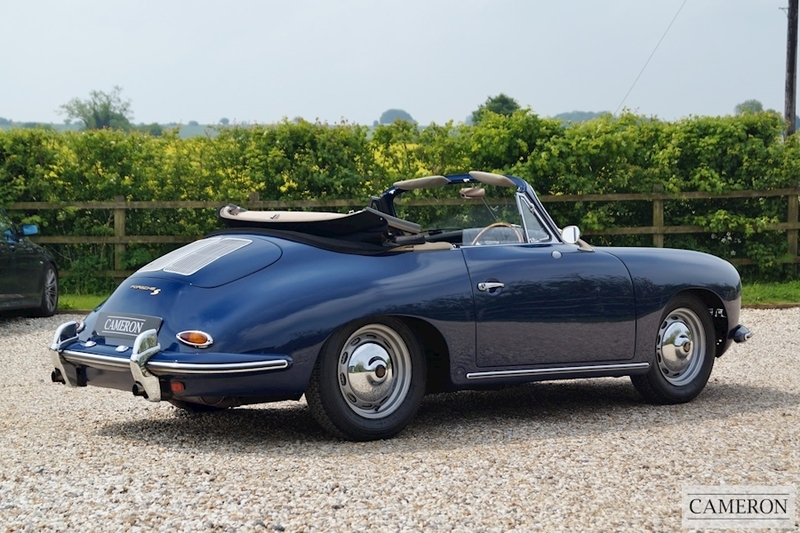 In September of 1959 Porsche revealed their fully updated 356 known as the 356B. 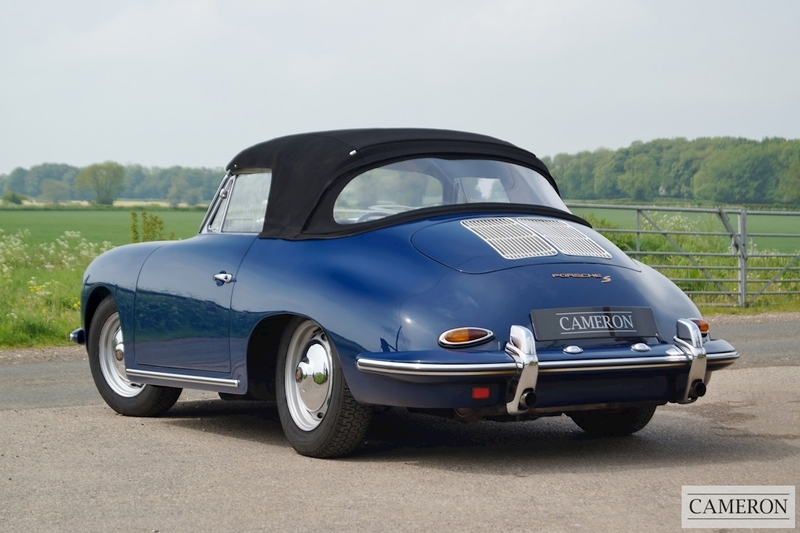 This had a completely revised body that was more suitable for the American market. 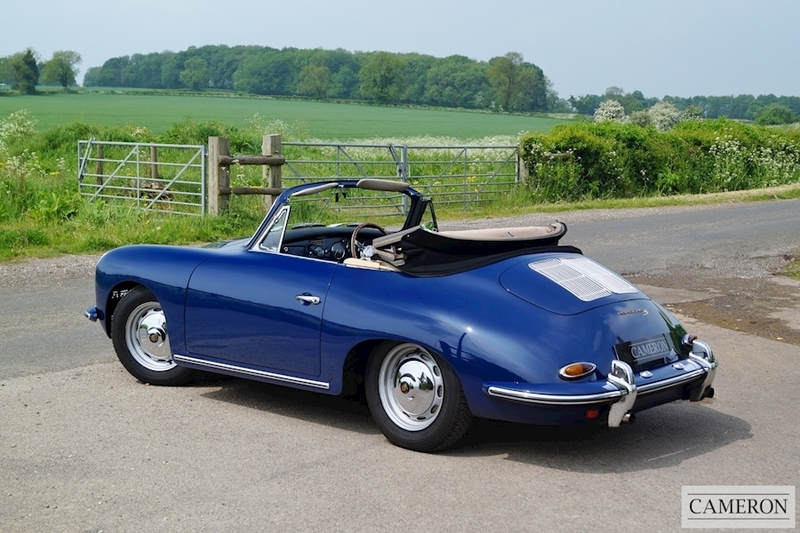 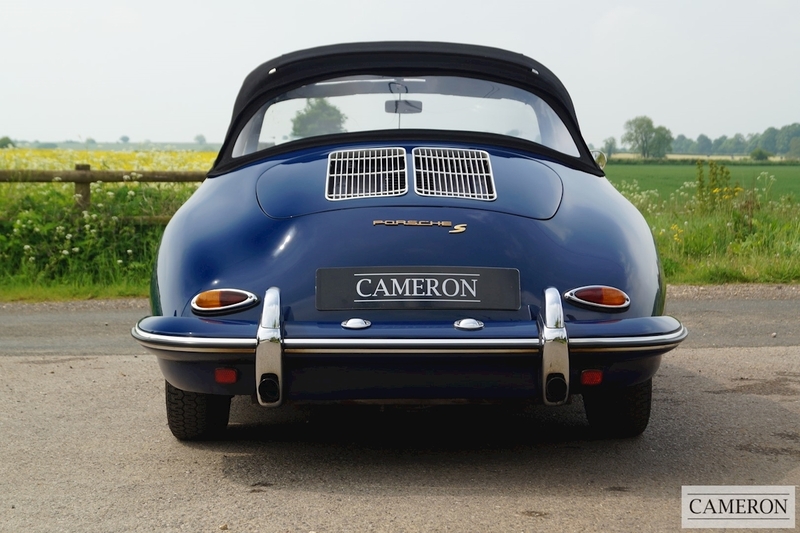 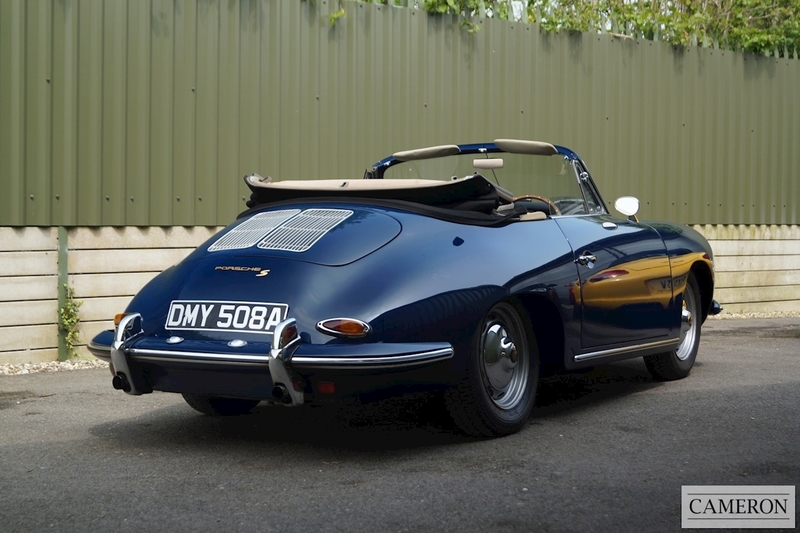 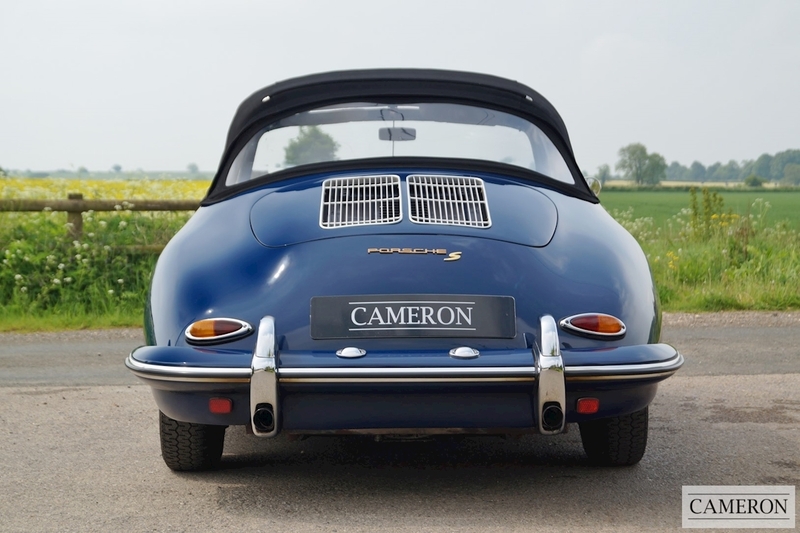 The 356B used the new T5 bodystyle which raised the front and rear bumpers nearly four inches. 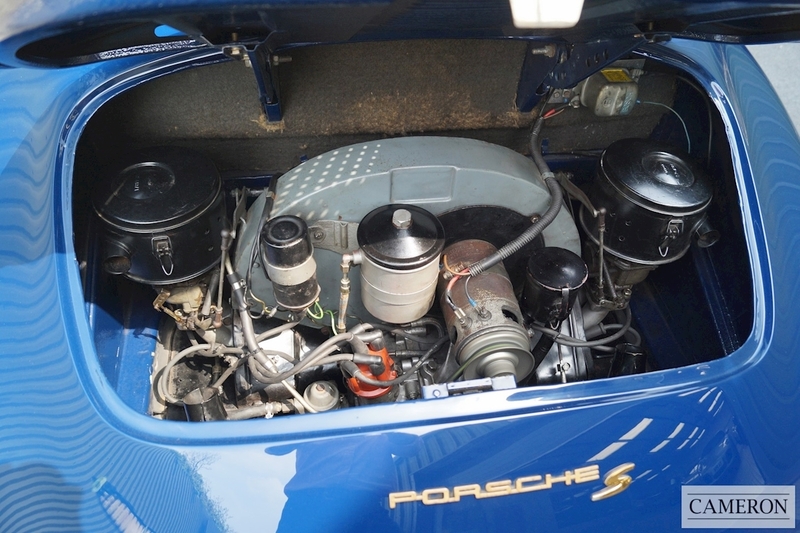 Furthermore the headlights were also repositioned higher to meet American regulations. 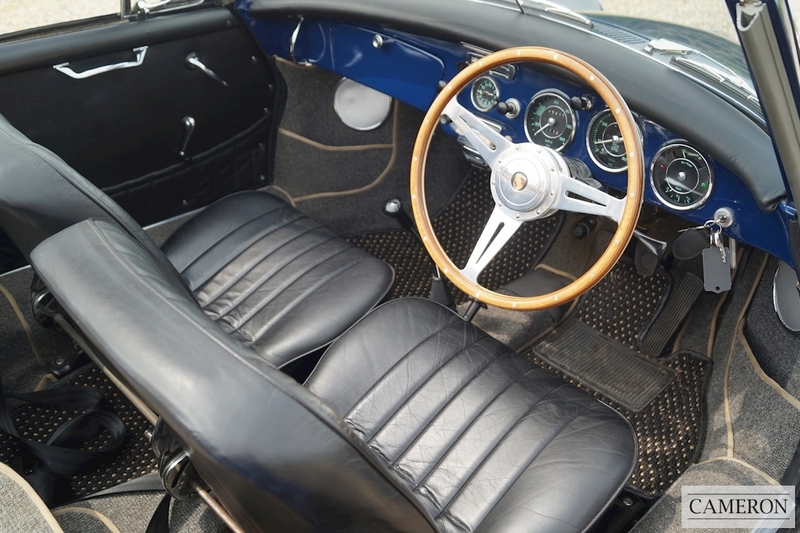 Inside Porsche fitted a new deep dish steering wheel and deeper front seats. 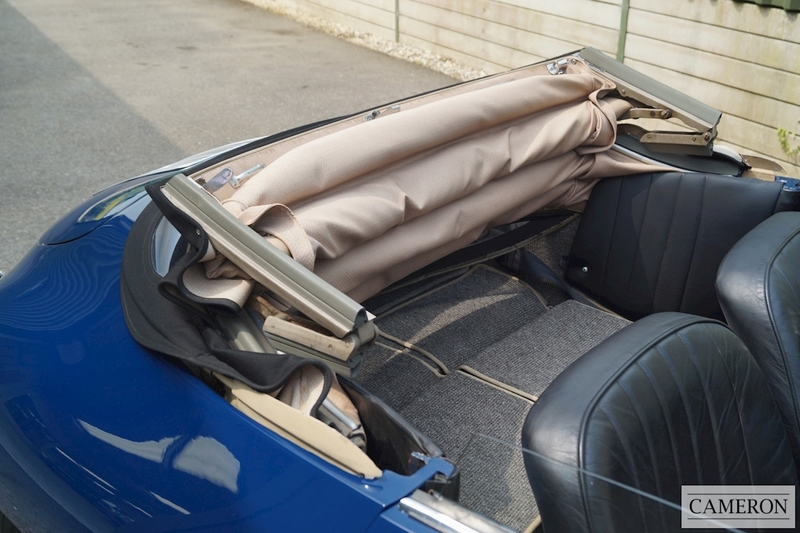 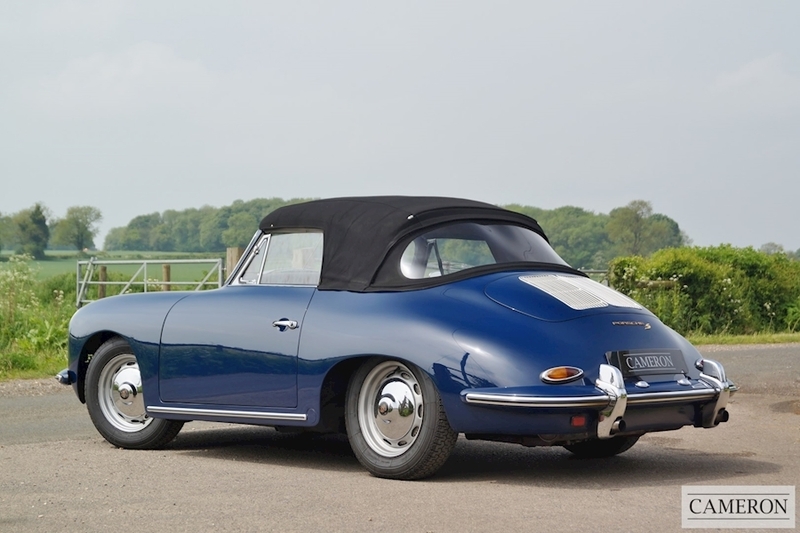 In August of 1961 Porsche revealed the updated T6 body with larger windows for the Coupe and twin engine grills on the rear deck. 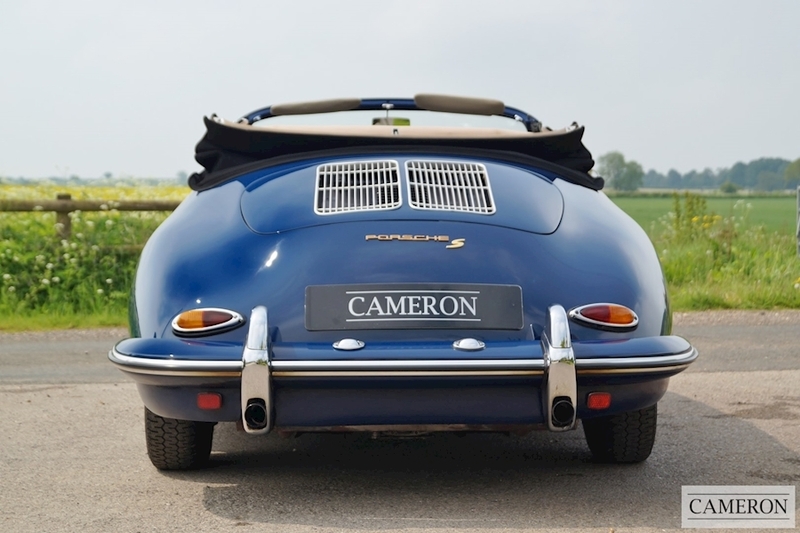 These had a much revised front trunk with a different gas tank that was accessed under a filler lid on the fender instead of the middle of the trunk. 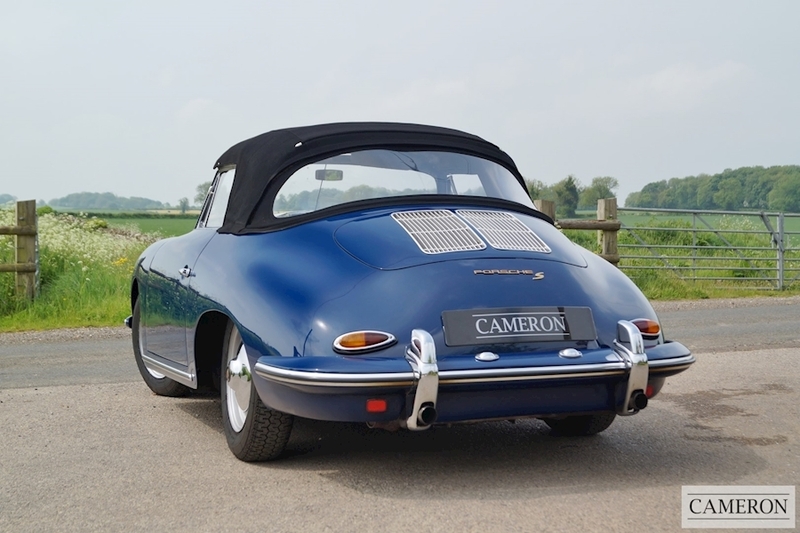 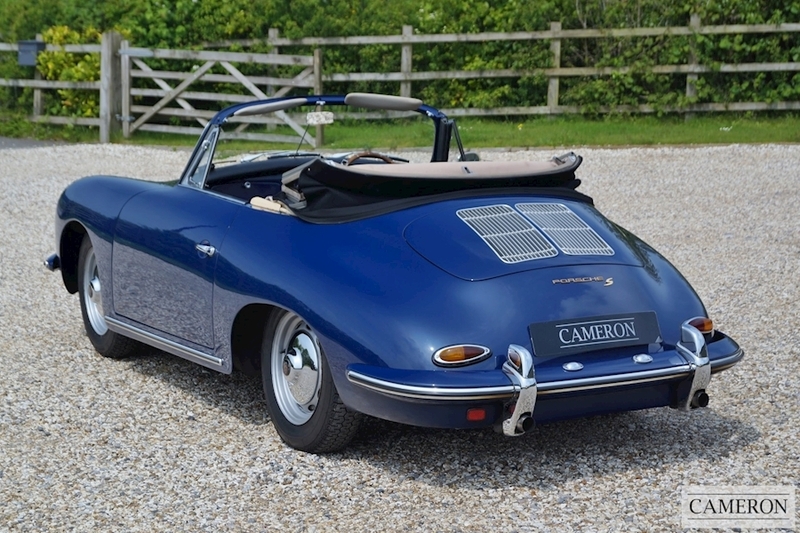 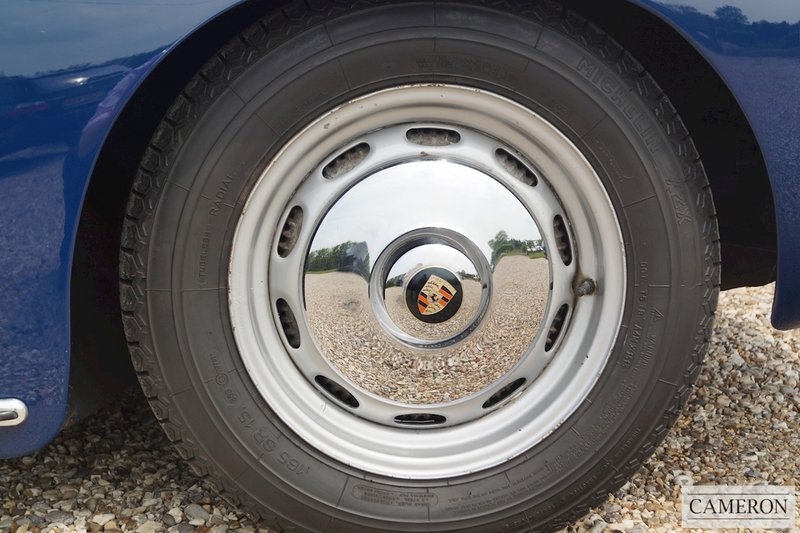 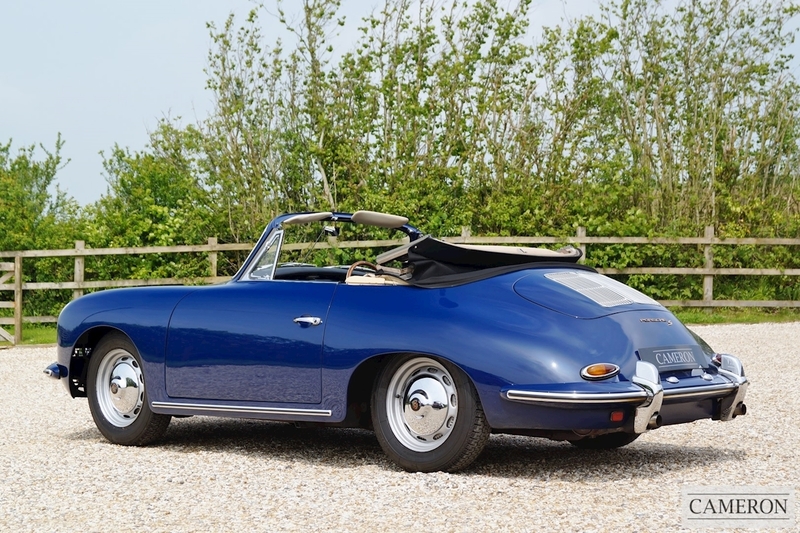 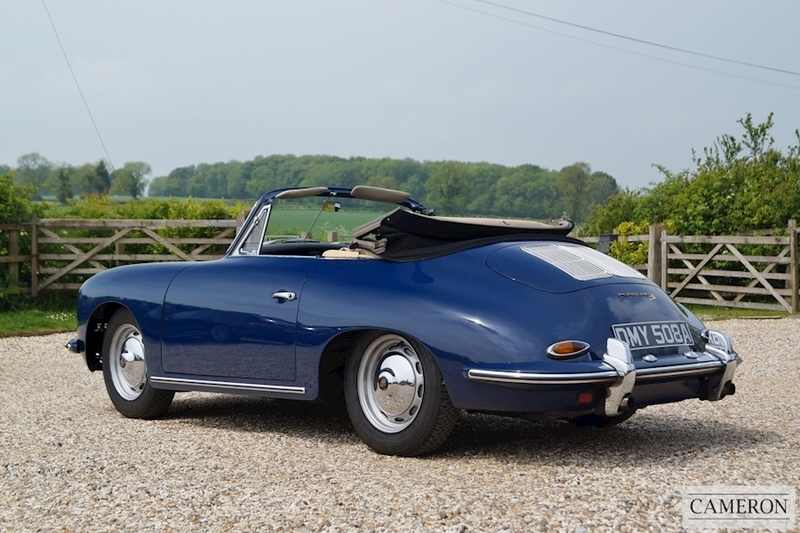 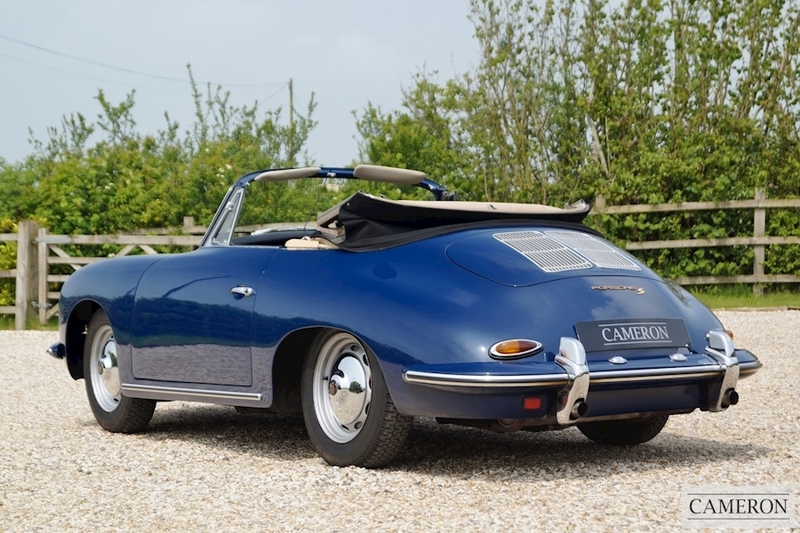 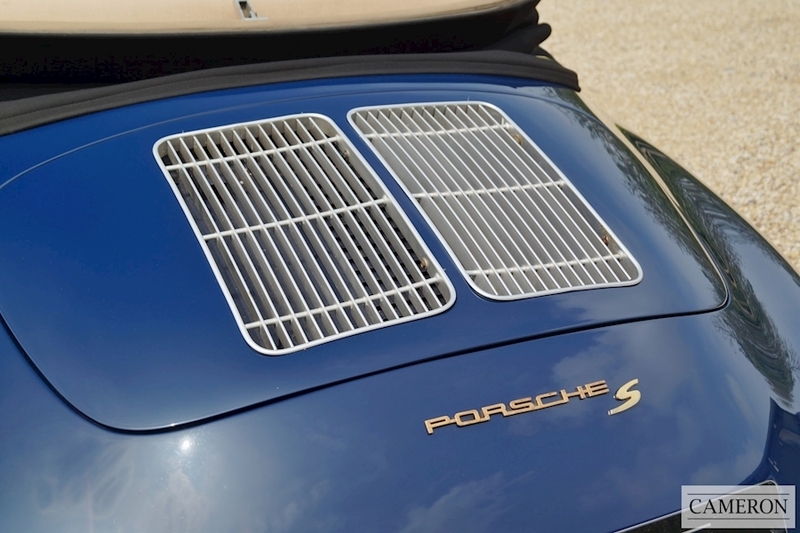 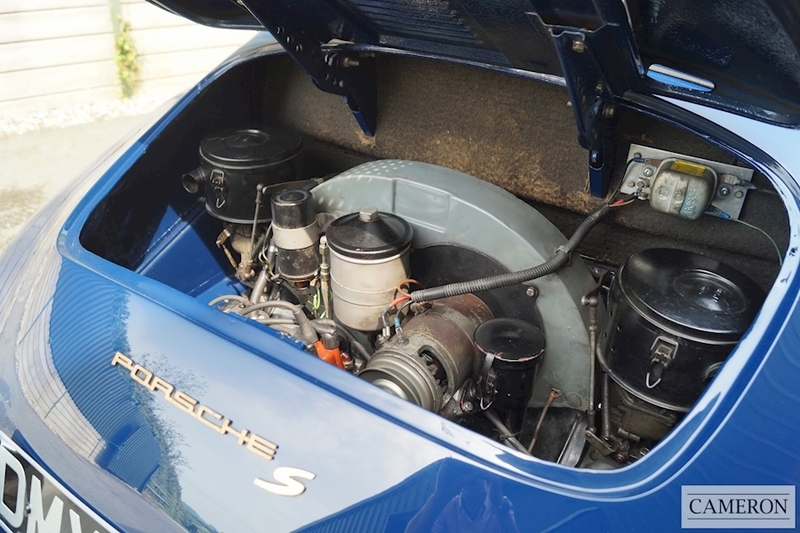 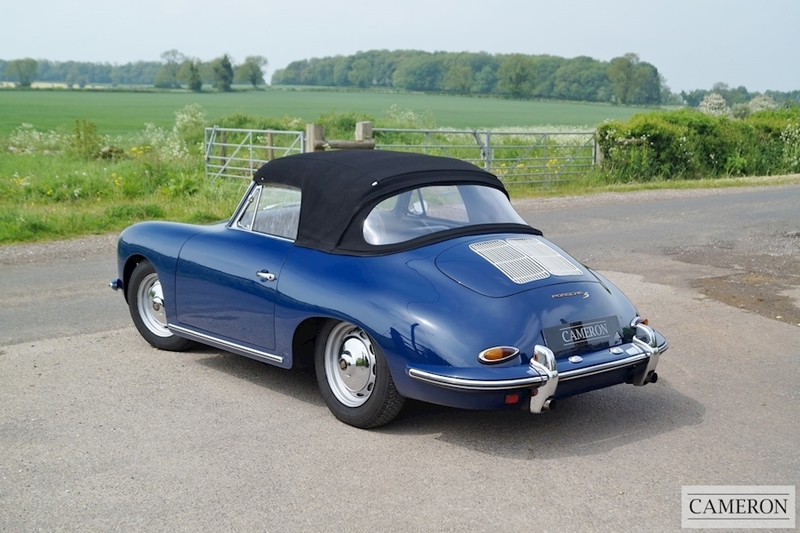 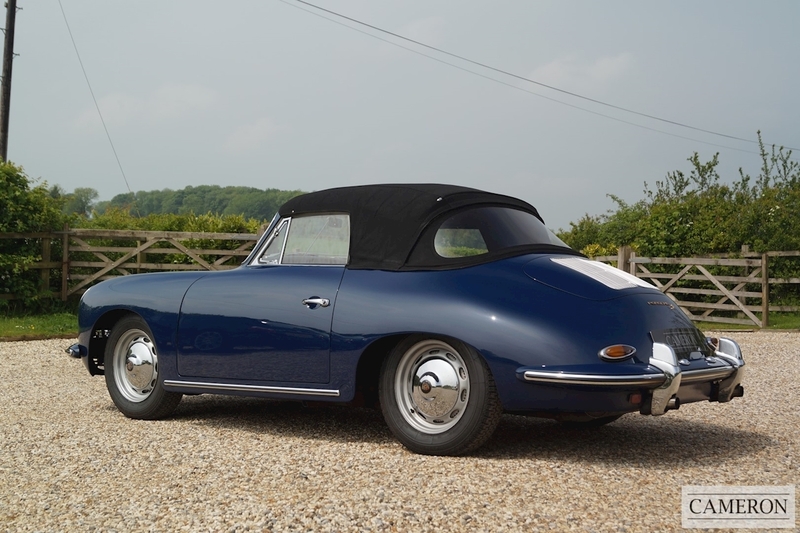 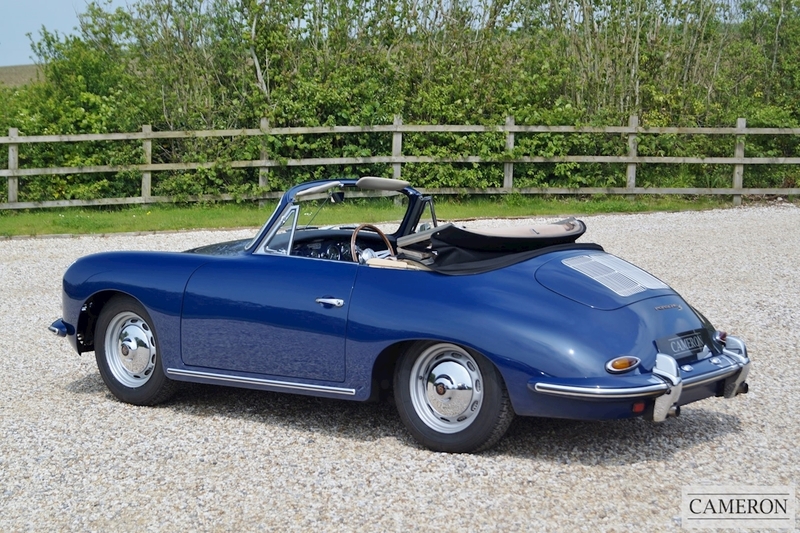 In 1963, the 356C marked the third and final update to the 356 model.